We are a top notch supplier of Papaya Bleach Cream. Our reputed entity is engaged in supplying Papaya Bleach Cream. 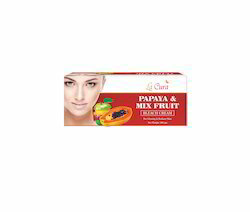 With immense market knowledge, we have been able to provide optimum quality Papaya Glaze Bleach Kit. Lightens hair to match the skin colour and make the skin fairer and glowing. Its mild formula give more natural texture with no irritation to the skin. In order to meet excellent quality standards, we are supplying Papaya Bleach Cream. We are engaged in offering Papaya Bleach Cream. 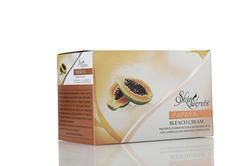 Papaya Bleach Kit is A professional use product, capable for pre-lightening the hair and making skin go fairer with its bleaching action while making skin's natural moisture balance as well as providing radiance to your face.